I had the extraordinary privilege (and luck!) 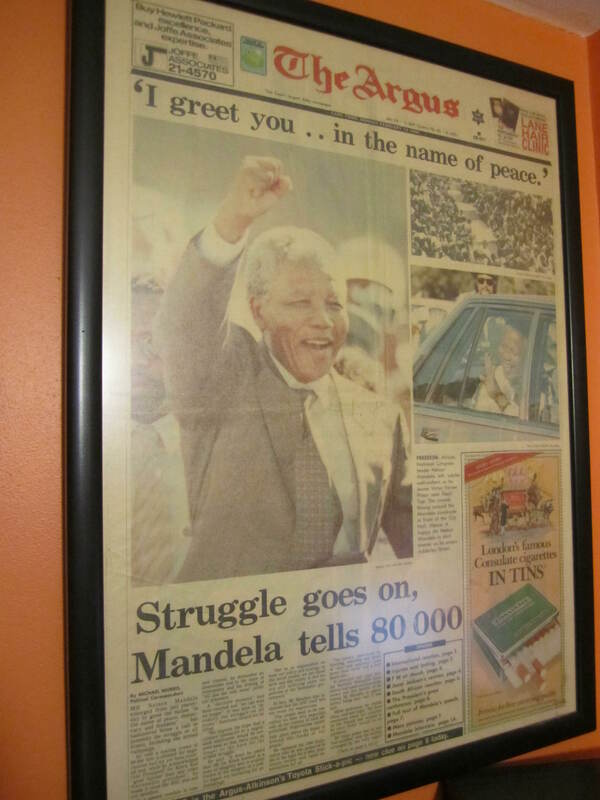 to attend and photograph one of the world’s most positive and greatest recent historical events; when Nelson Mandela was released from Victor Verster prison in Paarl on Monday 12 February 1990 followed by his raptuous welcome to City Hall in Cape Town and his first ever public speech to the tens of thousands of mainly black South Africans that thronged the city…an incredible day! I was physically shaking as I photographed the day (fortunately a clear bright one, so no camera shake!) . Here is the framed front page from the Argus newspaper breaking the news of this great day, which has been proudly displayed on my office wall ever since. I will post a handful of the photos I took very soon. God bless you Nelson Mandela, may your legacy bring eventual peace to the entire continent of Africa – AMANDLA! People use the word awesome very lightly these days but I think that experience definitely merits it! Look forward to seeing the photos.